UPDATE: On October 26, 2016, Verified Profiles were added to the Facebook Branded Content Policy, allowing those with a Verified Profile to utilize the Branded Content Tool. 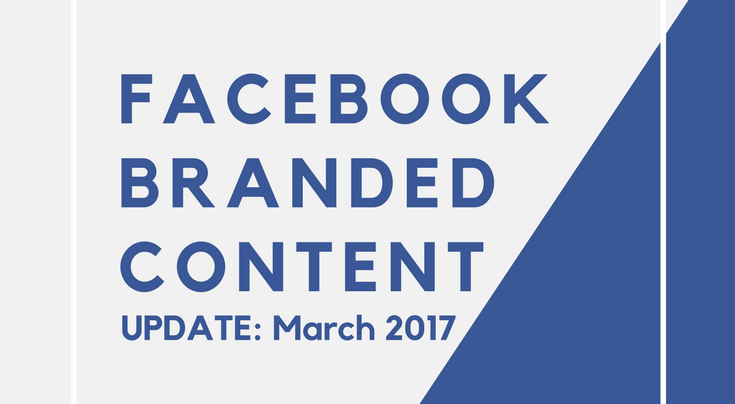 Throughout April (2016), the new Facebook Branded Content Policy was introduced to allow those with a Verified Page to post specific types of content. Branded content is not new to Facebook. Many influencers have been sharing branded, sponsored, and paid content for quite some time. Now, though, Facebook has established specific rules and policies that must be followed with regard to what they are calling Branded Content. Facebook doesn’t state what the consequences are for non-compliance. In a recent conversation (late April 2016) as I was preparing this article, I spoke with someone from Facebook who’s permitted to speak on these issues, and I was informed that they will begin a notification process to advise of non-compliance. This makes sense since this is a new policy and has some complexities to it. This new Facebook Branded Content policy does not replace the need to provide FTC-compliant disclosure. Facebook is not the government and is not making any new laws or governmental regulations. This policy is Facebook-specific and is more likely an effort to manage content for which users are getting paid, and Facebook is not, than it is to provide disclosure to its users that certain content in their stream is paid or sponsored by third parties. Plain and simple, Facebook wants to know who’s getting “paid” for content that’s being posted on their platform. I use paid in quotation marks because Facebook would never know what form of compensation, if any, is provided to the influencer. 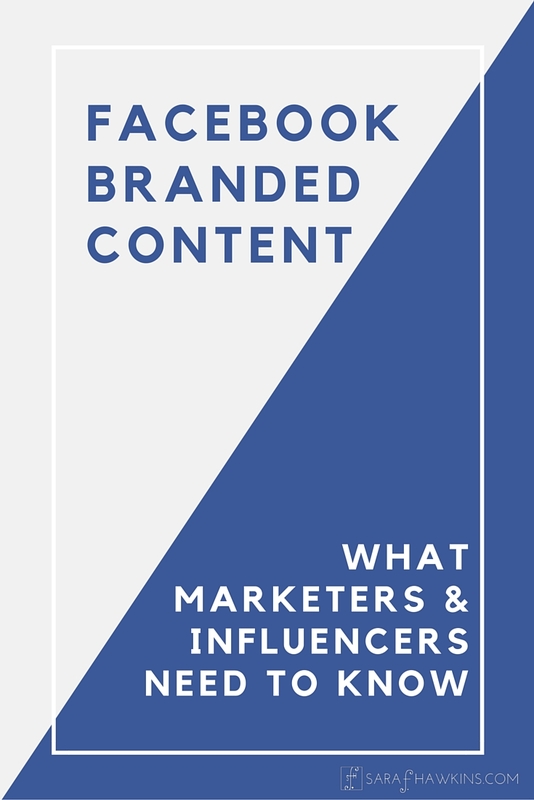 ADDED 8/31/16: Facebook has published a 43-page Facebook Branded Content document to explain the Branded Content policy and how it works with the different types of engagement. In this document, they indicate they will begin enforcing the policy and removing violating materials as of September 1, 2016. There will be an appeal process if you believe your post has been removed in error. There seems to be some confusion about compensation. The new policy doesn’t mention compensation and use of the Branded Content Tool is not predicated on whether or not you’re getting payment of some sort. Don’t think in terms of whether or not you’re being compensated, instead think in terms of if you are promoting something other than your own brand. … any post — including text, photos, videos, Instant Articles, links, 360 videos, and Live videos — that features a third-party product, brand, or sponsor. … content originating from a Page owner that features third-party products, brands, or sponsors that are different from the Page owner. With these two definitions, the commonality is the posting of third-party products, brands, or sponsors. Basically, this means if you’re sharing anything that is not 100% yours or related to your company or your brand you’re likely sharing what Facebook would call “branded content”. While the new policy is short, as compared to some of their other promotion policies, it’s packed with details and highly specific prohibitions that may be confusing. So, let’s break it down. 1. You must be a Verified Page to post Branded Content. Per Facebook, “… if you see a blue badge on a Page or profile, it means that Facebook confirmed that this is the authentic Page or profile for this public figure, media company or brand. If you see a gray badge on a Page, it means that Facebook confirmed that this is an authentic Page for this business or organization.” If you are not a Verified Page you are prohibited from posting what Facebook defines as branded content. In plain English: If you have, or manage, a Verified Page, are a brand or agency placing paid or sponsored content programs with influencers or are a marketing person creating cool programs that need to be amplified on Facebook, keep reading so you know the rules. If you’re not a Verified Page, you will need to become one if you want to post Branded Content (see caveat below). In my discussions with Facebook, I’ve learned they are working on the verification request. However, due to a large number of requests recently initiated they are prioritizing verification for celebrities, public figures, sports teams, media companies, and entertainment companies. My understanding is that if you have applied to become verified you can post Branded Content in the interim. This is not an official position announced by Facebook, it’s only something I’ve been told by an individual I contacted about the Branded Content Policy update. 2. 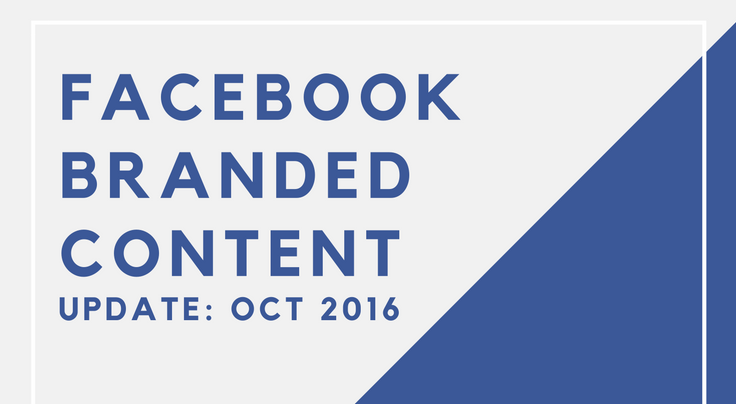 If you post content that is not within the Facebook definition of Branded Content, nothing with regard to that content has changed. Don’t get creative with your definition of your work. 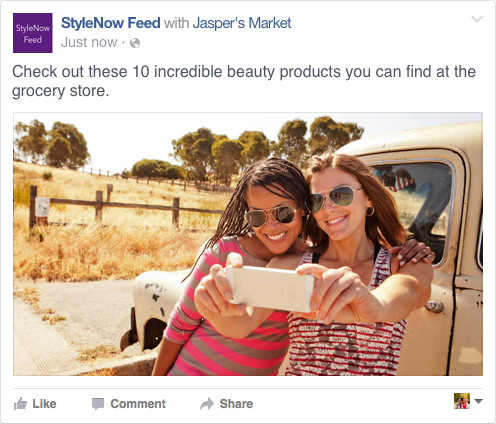 Everything you post on Facebook now needs to be evaluated within the Branded Content framework. Feel free to continue sharing all the cat gifs, articles that interest you, and cool things your friends have written. 3. Not all Branded Content is allowed. If you are posting video or photo content that may fit the definition of branded content, be sure to check the Facebook Branded Content Policies to see the few types of content with videos and photos that are prohibited, such as videos with title cards, videos with graphic overlays or watermarks, and ads within videos. 4. If you’re using the ‘Share’ function as part of an influencer program and posting content to your page through that Facebook functionality, that is not Branded Content. However, if that share would require FTC-compliant disclosure, appropriate disclosure should be included in the post. 5. When posting permissible Branded Content to your Verified Page, the content must be posted using the Facebook Branded Content tool (it looks like a handshake) function on Facebook. You will need to tag the third-party brand, product, or sponsor, which will appear as a linked tag at the top of the post. You can tag more than one third-party in the post, if you need. 6. What if you are an influencer (or you are working with an influencer) without a Verified Page? Branded Content would NOT be permitted; however, content from the influencer’s own blog or website would be. 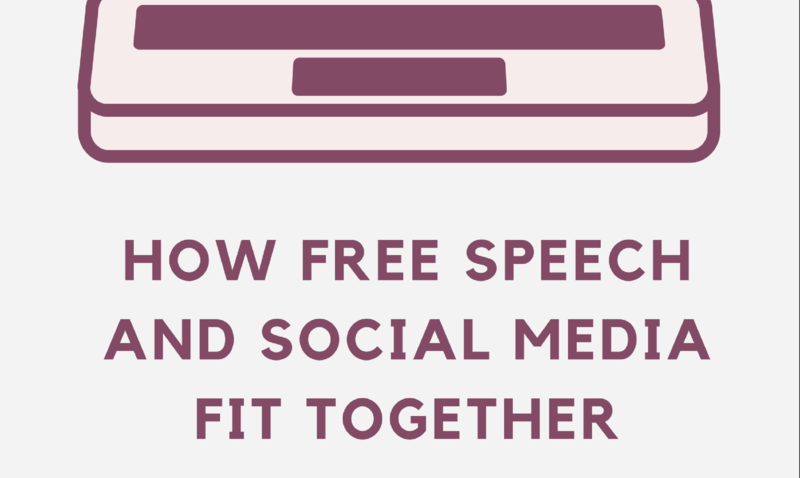 There has been a great deal of confusion with this, especially related to posts that contain sponsored content. If the sponsored content is on the influencer’s blog, the influencer CAN share the post from their website directly on their Facebook Page without using the Facebook Branded Content tool. Appropriate FTC-related disclosure would be required in both the post on the website as well as the post on the Facebook Page, as usual. 7. How does sharing a sponsored post work WITH a Verified Page? According to the new Branded Content Policy, “Posts that clearly disclose the content is sponsored or provided by a third party.” are allowed with the use of the Branded Content tool. This would indicate that if an influencer has created a sponsored post on their blog AND they have a Verified Facebook Page, the influencer can use, and perhaps should use, the Branded Content tool. Using the tool provides added benefits the influencer would likely want to take advantage of with regard to the post. 8. “Cover photos and profile pictures must not feature third party products, brands, or sponsors.” This is new, and while it may not apply to many people, I have seen both cover photos and profile pictures that include this now-prohibited content. 9. Appropriate FTC required disclosure is still required on all Branded Content posts. As I stated at the beginning, use of this new Facebook Branded Content tool does not change the need to provide appropriate disclosure. I don’t see this being discussed in many of the marketing-oriented articles discussing this new Facebook policy. 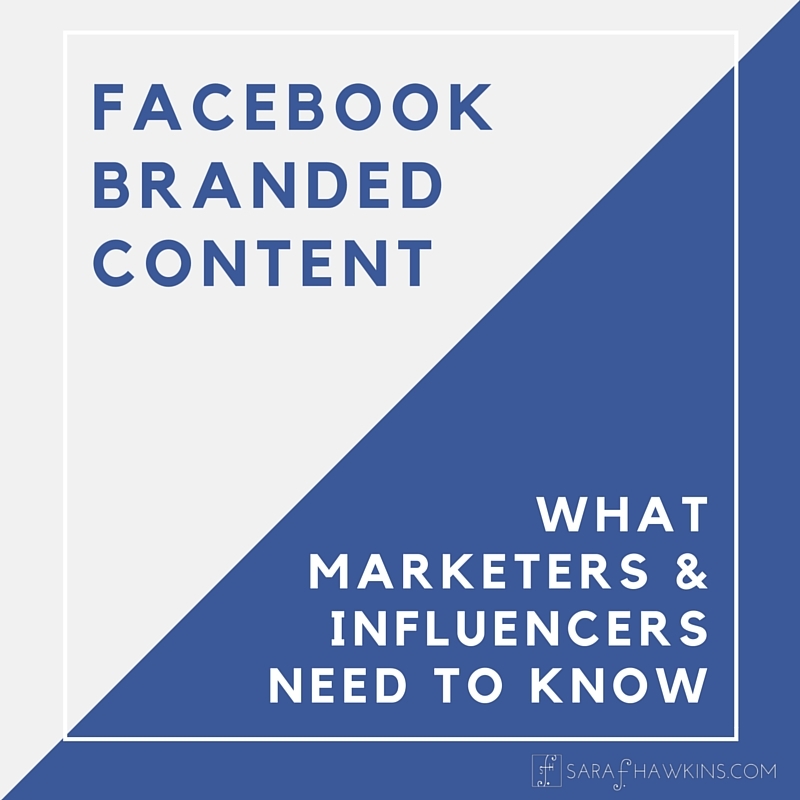 In the announcement, Facebook clearly provided that “Publishers and influencers remain responsible for understanding their legal obligations to indicate the commercial nature of content they post.” This means that everything posted with the Branded Content tool will likely need some type of disclosure sufficient for the reader or viewer to understand that it’s content place there because of a business relationship with the brand or sponsor. We can not assume that the average Facebook user will understand that a “[Publisher] with [Brand]” in the header where the hyperlinked [Brand] tag is an indication that the post is some sort of paid content or advertisement. As of now, the FTC has not weighed in on whether the new Facebook Branded Content display is sufficient to provide the needed disclosure. Facebook sure makes things hard for bloggers and confusing too. I heard that some things on FB had changed in August. Is any of this affected by these changes? Thanks! Updates were made in October, 2016. I have provided an update HERE. Will facebook pull down branded content from a verified page if there is paid amplification behind it? Hi Anthony, yes, Facebook has removed branded content from verified pages even when there is paid amplification. Usually, though, Facebook will send an email explaining the violation. If you’re working with an ad manager usually they can assist with fixing the issue and getting the information back up. 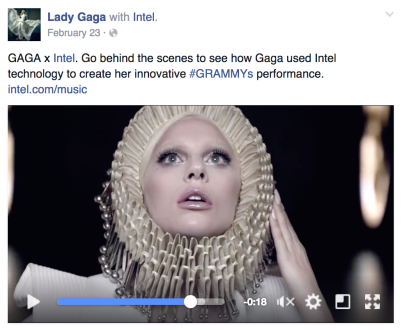 What about when an influencer post a branded content via a social influencer platform ? How can the the platform be still compliant ? Is there a particular disclosure, tag or anything that could help without having to use the branding content tool ? Thank you in advance! 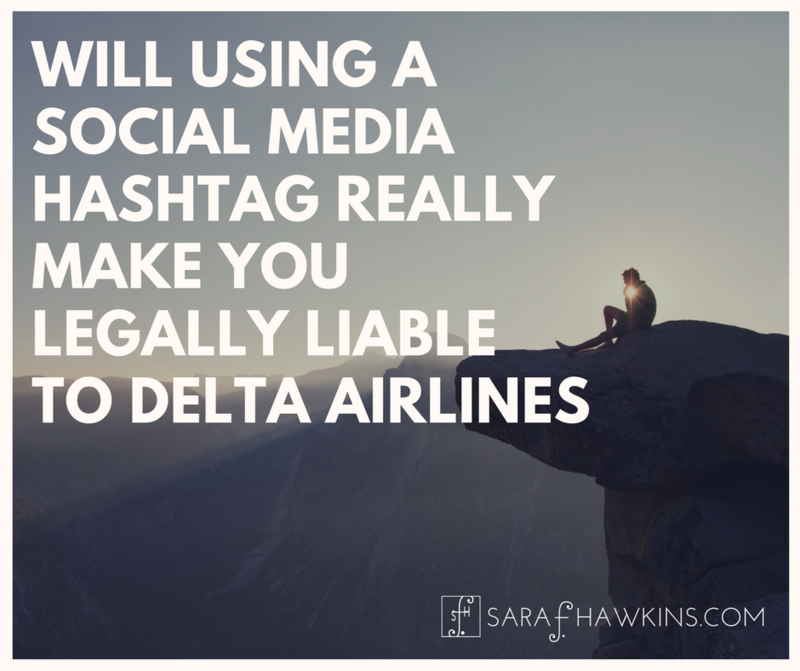 Platforms often transfer liability for disclosure violations to the user through language in their Terms and/or Guidelines. Even if the platform has a required interface (i.e., Facebook Branded Content Tool), use of that interface does not guarantee compliance with governmental laws unless the platform makes such a claim. Use of a platform tool is for streamlining certain of their processes, not for legal compliance unless it is so indicated.